Kenridge Primary School, a South African elementary school, is using NAKIVO Backup & Replication to enable Instant Object Recovery for Microsoft Exchange, and reduce IT administration time by 60% with screenshot verification. 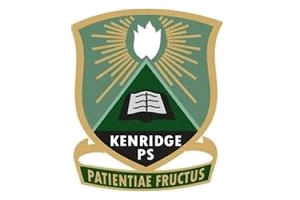 Established in the 1950s in Cape Town, South Africa, Kenridge Primary School teaches approximately 1600 students from Grades 1 through 7 and employs about 150 staff members. The school’s mission is to help all its students attain the optimal level of intellectual, cultural, and physical potential, by providing a warm, disciplined, and stimulating learning environment. Kenridge Primary School endeavors to instill in the staff, students, and parents a sense of pride in the school and its achievements. The IT infrastructure of Kenridge Primary School consists of one datacenter and four physical servers. "Since we are a school, we have quite an abundance of information. The most critical VMware VM is our onsite mail server which holds about 300GB of mail. Another VM is our primary domain controller. Other VMs are used for file storage among other business critical applications," says Devon Chandler, IT Systems Manager at Kenridge Primary School. For Kenridge Primary School, VM backup is important because a great deal of critical data needs to be backed up regularly and staff members must always have access to information for the day to day operations of the school. "VM backup is crucial for our mail server and primary domain controller. Moreover, in the event of a crash or corruption, we need to quickly run full VM and object recovery," says Devon. Overall, reliable VM backups and fast VM recovery are imperative. Previously, Kenridge Primary School utilized different legacy backup solutions to protect their IT infrastructure. "With our previous backup solution, backup jobs would fail regularly. Generally, backups would take a long time to complete and often copy at a slow rate. This was unacceptable because we were constantly checking to see if backups had completed and we were spending too much time on IT administration," says Devon. Moreover, the user interface of the past backup solution was quite cumbersome and outdated. "The user interface was overcomplicated. It was annoying that some services would stop without any warning or alerts," says Devon. Lastly, due to the size of VM backups, the recovery process took too long. "If one of the files or objects was corrupt or missing, the recovery process always stood a chance of failing. Also, we missed not having the option to recover an entire VM. This was a huge disadvantage," says Devon. "I heard about NAKIVO Backup & Replication from my cousin that has been in the IT industry for many years. He was impressed by NAKIVO's deduplication and compression which immediately captured my attention," says Devon. After successful testing, Kenridge Primary School decided to switch to NAKIVO Backup & Replication because the product covered all business needs and was the best next step forward. Their first impression about the installation and configuration of NAKIVO Backup & Replication was exceedingly positive. "This was one of the easiest setups I have ever done. The initial setup of the backup jobs took only a few minutes and once it connected to VMware vCenter, all the VMs are already there. It was fantastic! The web interface is also a dream to work with. Everything is laid out in a simple, yet effective manner," says Devon. Instant Object Recovery for Microsoft Exchange is vitally important to Kenridge Primary School because their onsite mail server holds approximately 300GB of mail. "It is extremely quick and easy to find and recover objects, whereas before, it took much longer to launch the recovery and find specific objects to recover," says Devon. NAKIVO Backup & Replication enables the ability to browse, search, and recover emails directly from compressed and deduplicated VMware VM backups, without the need to restore the entire VM first. The Object Recovery for Microsoft Exchange feature works both over LAN and WAN; even if a Backup Repository is located offsite, countless miles away, the recovery can be completed within seconds. After a successful VM backup, an option to truncate Exchange Server logs is also useful to Kenridge Primary School. "Exchange Truncation is another nice feature that we use. This is extremely important because we have over 150 email addresses on our exchange server," says Devon. Over time, log files accumulate and can consume all of the available disk space, if not periodically removed. NAKIVO Backup & Replication provides the option to truncate Exchange Server logs on the source VMs after job completion. In addition to instant object recovery, screenshot verification saved significant labor time for Kenridge Primary School. "Screenshot verification is one of the best features NAKIVO Backup & Replication offers and we use it for all our VM backups. The fact that the product sends mail alerts is fantastic. This way, I know immediately if something is wrong, or if a backup has completed successfully. The fact that a VM boots and you can see a screenshot, verifies that the VM backup was perfectly successful. No time needs to be spent manually booting the backed up VM," says Devon. For Kenridge Primary School, implementing NAKIVO Backup & Replication proved to be the right decision for the school's success. Previously, there were many problems with reliability and the speed at which backup jobs ran, but with NAKIVO Backup & Replication, backups run reliably every time. "The ease at which backups can be set up is a definite winner. The cost in labor hours has decreased dramatically and with screenshot verification, we always receive notifications if anything goes wrong. We were able to save 4 hours per week on average. Overall, it is about 60% savings on IT administration time," says Devon. Due to Instant Object Recovery and Full VM Recovery, Kenridge Primary School achieved near-instant recovery of application objects and entire VMs in a short amount time. "The fact that we can recover application objects and entire VMs in minutes is superb!" says Devon. "Overall, with NAKIVO Backup & Replication, we not only saved a significant amount of time, but also gained an all-in-one solution that requires minimal maintenance," says Devon. Kenridge Primary School is an elementary school located in Cape Town, South Africa. The school is comprised of 150 staff members and roughly 1600 students. Through the implementation of a variety of life skills, innovative and progressive teaching methods, consistent discipline, and the use of modern technology, Kenridge Primary School seeks to prepare its students for the challenges of a rapidly changing society and future. The school aims to promote individuality and a happy, balanced approach to life and acknowledges the complimentary roles played by the school and the community. Therefore, the school encourages an attitude of openness among educators, parents, and students and at the same time is committed to sharing high moral values and standards. For more information, visit www.kenridgeprimary.co.za.